Stunning St Petersburg makes an ideal destination for a three to four day trip in either romantic, snow-white winter or warm, blue-skied summer. St Petersburg is becoming more popular becasue it's becoming a lot easier to get to by air. So it pays to book in advance to ensure a bed in one of the best places to stay in St Petersburg. St Petersburg is more European looking and feeling than Moscow, as well as being arguably more elegant. This was Russia’s imperial capital and it looks like a city built by Tsars. There are fabulous Baroque and Neoclassical palaces, Italianate mansions, beautiful plazas, and grand churches, all showcasing the sophistication and wealth of the Romanovs’, and one of the world’s great collections: the treasures of the State Hermitage Museum. Built, at much cost of life, on a swamp, St Petersburg is cut through with canals, has around 350 bridges, and plenty of opportunities to stroll along the water. Which is why it’s often referred to as the Venice of the north. 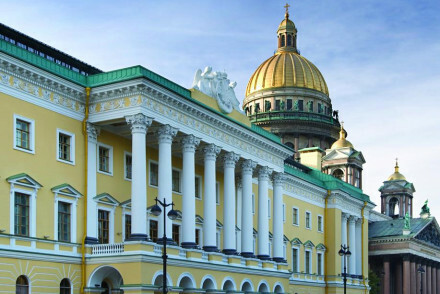 As well as the Hermitage, St Petersburg has the almost-as-vast Russian Museum and the contemporary Erarta Museum. Beautiful in summer with the endless hours of light, St Petersburg is also brilliant under the snow. For evening entertainment enjoy cultural offerings such as theatre and ballet, and if you hit the city's upscale bars, dress up: St Petersburg's inhabitants like their labels, and we're not talking H&M. If you want to immerse yourself in the city's culture then book a room to stay in Admiralteysky or Nevsky. For a quiet couples retreat, close to the all the attractions but wuthout the hustle and bustle, consider basing yourselves in Smolny. If you're here on business then try to be in (or as near to as possible) the Tsentralny and Admiralteysky districts. Budget travellers will find plenty of cheap hostels in Nevsky or Liteyny. The iconic Church of the Saviour on Spilled Blood, built in the late 19th Century to memorialise Alexander II, is an architectural masterpiece. Featuring Italian pink marble floors, wonderful mosaics and opulent interiors, it's a truly breathtaking spot. The State Hermitage Museum and Winter Palace is not only a magnificent building but also houses a stunning collection of art - put aside several hours; you could easily spend a day here and only scratch the surface of its extraordinarily rich collections. Catherine Palace, situated about 30km south of the city makes for a great day out. It is a lovely place to wander around, however the main attraction is the 1400 acres of parkland that surrounds it. Take a break from sightseeing and unwind with a picnic. The Grand Maket Russia Interactive Museum houses an 800 metre large miniature display of all the country's cities and regions. An incredible spot that's a must-see. Be sure to book ahead as the best places to stay in St Petersburg get quickly filled up, and this is a busy year round destination. Value is not the first word that springs to mind when looking at accommodation in Russia, but one or two properties in our selection of the best places to stay in St Petersburg definitely deserve that tag. St Petersburg’s Rossi Hotel & Spa overlooks one of the cancels, and has 50 rooms designed with comfort in mind, but also showcasing the hotel’s 19th century heritage. Each of the rooms is individually designed and the spa is a great place to relax. Plus rooms start from around £50 per night! The Pushka Inn is a real find. A stone's throw from the Hermitage and most of the major sights, it’s a riverside mansion with an elegant facade and 33 rooms - some with balconies. There’s cosy restaurant and an equally cosy bar. 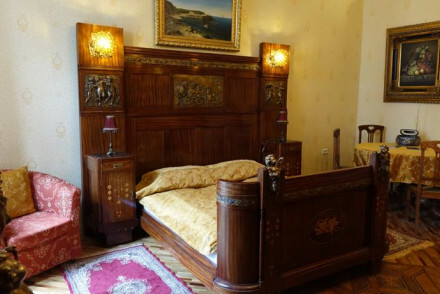 The Rachmaninov Hotel, situated just behind the Kazan Cathedral, can boast of being, not only, a former home of Rachmaninov himself, but also of its antique filled rooms. And it has an in-house art gallery which changes exhibits every month. Casa Leto has only five rooms and prides itself on their spaciousness plus all the extra freebies it offers as standard: breakfast (continental or cooked), tea and coffee, light refreshments, wifi and free local and international phone calls. 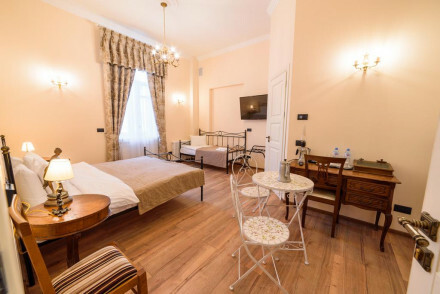 Alexander House is a family run, 19th century guesthouse in the historic heart of St Petersburg, offering 20 individually designed bedrooms - each themed around a different foreign destination. There’s a Japanese spa and some great Russian food. Five star properties are popping up all over the place, but our favourite grand hotels from our list of the best places to stay in St Petersburg are consistently top-notch. 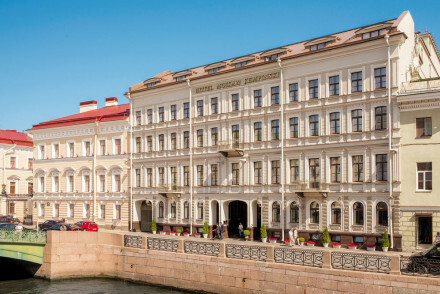 St Petersburg’s Kempinski Hotel Moika 22 is a restored Romanov style property. The interiors have been furnished with antiques galore, and the emphasis is on understated luxury and elegance, plus the usual high Kempinski standards when it comes to looking after its guests. The Astoria is Rocco Forte's Russian offering. It has been St Petersburg's grandest address for years, but with the Rocco Forte makeover you can now expect smart modern bedrooms alongside grand and glamorous public spaces. Though not a huge city and also fairly easy to navigate, you still want to be in a great location. From our choices all the top sights are a short walk or metro ride away. 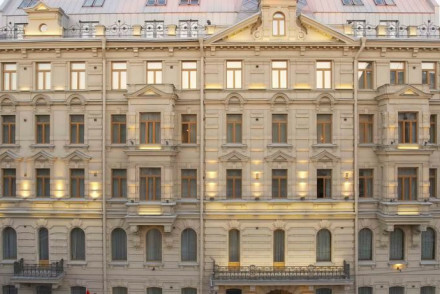 The Corinthia on Nevsky Prospekt has recently undergone massive renovation. It now boasts ornate 19th century facades alongside tasteful public areas with an art deco feel. Great for shopping and the sights. Grand Hotel Europe is Belmond's five star offering in the city, located on Nevsky amongst St Petersburg's architectural treasures and great for all attractions. Here interiors are modern yet undeniably classic and excellent food is to be had in L'Europe, Russia's oldest continually serving restaurant. 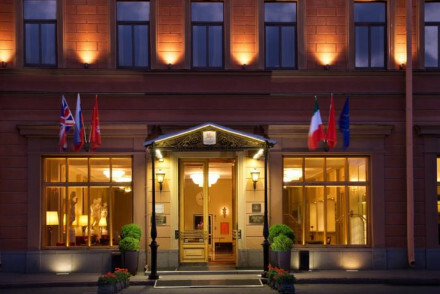 The Hotel Angleterre is a buzzing four star property situated across the road from St Isaac's Cathedral. Come here and sample the afternoon tea if you're missing home. Petro Palace enjoys a superbly central location and boasts simple, traditional accommodation featuring plenty of soft hues. With two restaurants, a hot tub and a pool, it's a splendid all round choice. 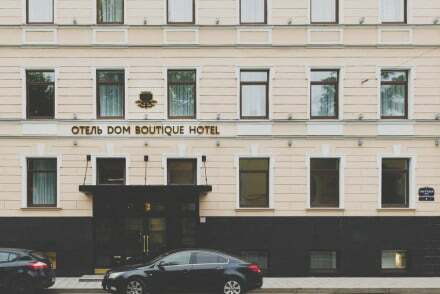 The 4* Dom Boutique Hotel is located in the heart of the city, perfect for exploring the sights. Their accommodation features antique furniture and pink walls, creating an elegant effect, whilst you can enjoy delicious Italian cuisine from the restaurant. You're definitely best off going to St Petersburg in the summer as it's horrendously cold in the winter (lthough it is a very romantic destination with snow on the groud)! The average temperature reaches 18°C in July, so it's never exactly scorching. Be sure to visit from late May to early July, as this is when St Petersburg experiences its 'White Nights' phenomenon - with practically 24 hours of daylight! This makes for a wonderfully romantic experience, especially if you take long nighttime walks along the canals. International visitors can fly into Pulkovo Airport, located 20km south of the city itself. British Airways fly here directly from Heathrow, a journey which takes around 3 hours. From the airport, hop on bus number 39, 39Ex or minibus K39 to Moskovskaya metro station before taking line 2 to the city centre. Or, an uber will cost you just £7-9 and takes around half an hour. Browse through our list of the best places to stay in St Petersburg. Search instead through our recommendations of the best places to stay in Moscow. This charming B&B lies in the heart of St. Petersburg. Individually styled rooms feature parquet flooring, hardwood furnishings, chandelier style lighting and the best include private balconies with scenic street-views. Indulgent breakfasts are served; an ideal spot to explore this wonderful city. Warm and welcoming hotel with a 19th-century feel. This cosy spot is minutes from the cultural and historical monuments, theatres and museums of st Petersburg. Simple clean rooms with antique style furniture on a quiet street, plus a charming contemporary art gallery. Ideal for a city break. 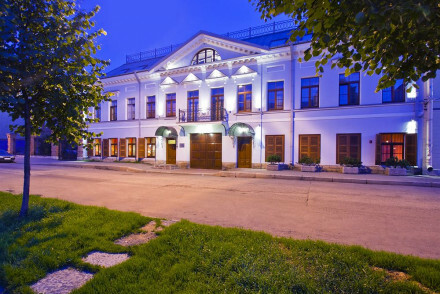 Value chic - An arty boutique hotel in a great central location, just steps from Kazan Cathedral and Nevsky Prospekt. Sights nearby - Within walking distance of Petersberg's main sights including, Saviour on the Blood, the Hermitage and the Kazan Cathedral. 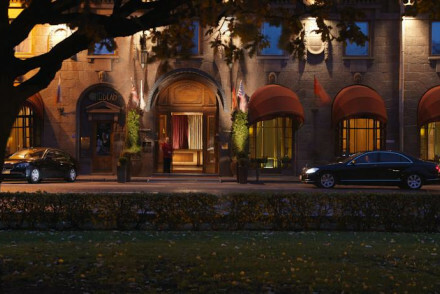 Great walks - The hotel arranges interesting cultural walks around Saint Petersburg. 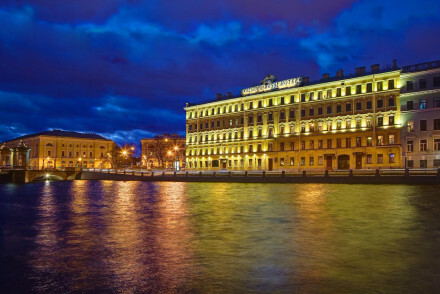 Overlooking one of St. Petersburg's canals, Rossi Hotel & Spa offers an excellent balance of heritage and comfort. The individually designed rooms retain some of their 19th century features with added modern comforts. The spa is a great place to relax after a day exploring. Sights nearby - St Petersburg is full of palaces such as the nearby Vorontsov Palace and Anichkov Palace. A riverside mansion with an elegant facade. Airy rooms with large windows and some featuring balconies. Fantastic family apartments. The cosy restaurant serves up local cuisine and has a bar for chilly evenings in. Ideally situated for local exploring. Local exploring - A great locality within walking distance of the main cultural attractions, restaurants, shops and bars. Families - Large family suites make this an easy option for people travelling with children. Sights nearby - The gold spiralled Peter and Paul Cathedral are within walking distance. Stylish and friendly, family run mini-hotel. Large elegant bedrooms boast sash windows and heavy curtains. Centrally located in a sought after building which used to house great Russian writers and thinkers. Excellent value and personal friendly service. Perfect for a city mini break. 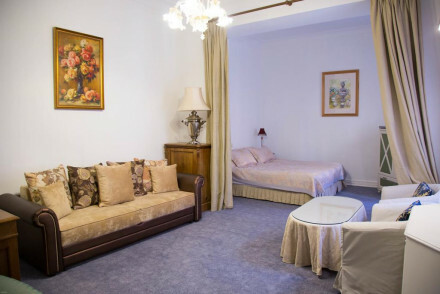 Value chic - Right next to the Hermitage, within walking distance of the main sights, with warm characterful decor and a moderate price tag. Great walks - The wonderful location means you are walking distance from the main cultrual, historic and tourism destinations. Cooking classes - Not quite a cookery class but the hotel can organise mushroom picking trips. Sights nearby - Walking distance from Nevski Prospect and the Hermitage museum. A grand hotel in a very central location. Well proportioned rooms have simple traditional design with soft hues. Two bars and restaurants includes an elegant Italian as well as more casual spaces. Positioned within walking distance of many of the cities best sights. Ideal for city exploring. City Style - An elegant hotel in an excellent location. Dine in style or unwind over a massage after a day exploring the city. Sights nearby - Walking distance from a number of sights including the stunning St Isaak Cathedral and the Peter and Paul Fortress. A lively four-star hotel with spectacular views of St. Isaac's Cathedral. This charming hotel boasts contemporary classic interiors, buzzing bar, and great spa facilities. A laid back spot with a touch a glamour. Great walks - Stroll around Palace Square, the central square of the city, home to many magnificant buildings such as the Winter Palace. 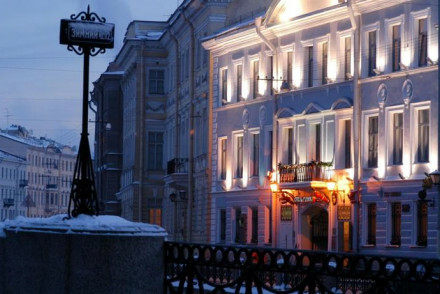 The 4* deluxe Dom Boutique Hotel is situated in the heart of St Petersburg. This design hotel offers guests incredibly upmarket and elegant accommodation. The in house restaurant Giardino serves up delicious Italian cuisine. A top-notch city stay. Sights nearby - The iconic Church of the Saviour of Blood is a must-visit! A family run 19th century guesthouse, in the historic heart of St Petersburg. Painstaking attention to detail has been adhered to to recreate a charmingly traditional atmosphere. Each suite follows a different country for decor inspiration. An intimate spot for city exploring. Local exploring - Right in the historical centre of St Petersburg, this charming hotel is ideal for exploring the city on foot. Great walks - Along the 25 minute walk from the hotel to Nevsky Prospect you will pass many historical sites such as Raskolnikov flat. Sights nearby - Within walking distance of St Nicholas Cathedral and St. Isaacs Cathedral. 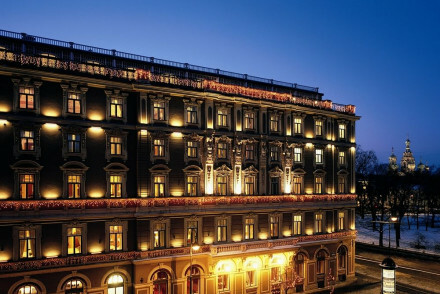 Beautifully restored Romanov style hotel on Moika Embankment. Elegant rooms mix traditional antiques with contemporary finishings. Riverside views, Turkish steam baths and ample meeting rooms, all a short distance from Nevsky Prospect and Petersburg's main attractions. Brimming with old world charm. Great walks - Take a wander around this cultrally rich area and absorb the histotry and heritage of Saint Petersburg. Outstanding location - Right in the heart of Old Petersburg. Sights nearby - Flanked by the famed Palace Square. 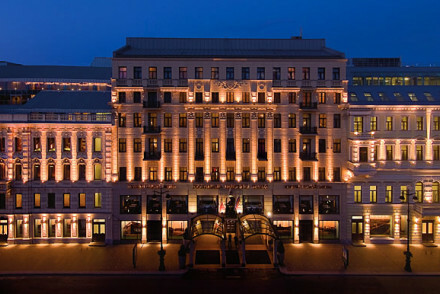 Recently acquired by the luxury Belmond group, this is a truly iconic hotel on Nevsky Prospekt. Among the city’s great architectural treasures, it's renowned for its impressive façade and plush decorative interiors. A luxurious cultural and culinary landmark. Sights nearby - The majestic Winter Palace, the Catherine Palace, the stunning Pavlovsk and the Imperial glamour of Peterhof. Great walks - Wander through the many parks and gardens at Peterhof or admire the scenery at Pavlovskiy Park. Situated in the heart of Nevsky Prospect, the Corinthia is perfectly placed for all the sights and shopping in St Petersburg. A luxurious, yet unstuffy property it is perfect for both leisure and business travellers. Sights nearby - Walking distance of the Hermitage and other main sights. Rocco Forte's Russian outpost, a chic hotel in the heart of historic St. Petersburg. The sumptuous suites, sophisticated bars and fine dining restaurants reflect the grandeur of the city. An authentic experience steeped in comfort and elegance. Sights nearby - The Lion Bridge, The Church of the Savior on Spilled Blood and St Isaac’s Cathedral. A 19th-century palace of breathtaking grandeur. The glorious rooms' decor feature chandelier lighting, opulent furnishings and French windows offering stunning views. With two restaurants offering contrasting cuisines (one Asian and one Italian, both superb) and an extensive spa. Luxury defined.